Friday, March 31, 2017 at 6:00 p.m. This plan ties in directly with recently passed legislation: As of March 14, 2017, Arkansas legislative Act 451 designated a portion of U.S. Highway 65 to be the Delta Rhythm & Bayous Highway; the new designation, which begins with the fiscal year in July 2017, applies to Highway 65 from Pine Bluff to the Arkansas-Mississippi border. The Delta Rhythm & Bayous Alliance sought this designation as part of a broader plan for tourism-based economic development in the region. With the help of State Representative Vivian Flowers, the lead sponsor who filed HR 1054, entitled To Designate a Portion of Highway 65 as the “Delta Rhythm & Bayous Highway”, and several co-sponsors in the state house and senate, the bill became state law. In addition to the highway designation, The Delta Rhythm & Bayous Alliance, led by CEO Jimmy Cunningham, Jr., has a much broader, deeper plan for the Delta Lowlands region. The targeted region extends from Pine Bluff, Arkansas, down to Lake Providence, Louisiana, with Bayou Bartholomew and U.S. Highway 65 serving as western borders, and then toward Greenville, Mississippi, to the east. The plan draws on the region’s profound history of art, music, film, and television contributions, all significant in their respective genres. Effectively, this creates a much needed regional brand for the Southeast Arkansas Delta along with the portions of western Mississippi and northeast Louisiana that share the same cultural and geological history. With the proper marketing and relevant interpretative venues, this could lead to major boosts in tourism revenue. While the economic development plan is regional, the Delta Rhythm & Bayous Alliance specifies two anchor cities: Pine Bluff, Arkansas, and Greenville, Mississippi. Indeed, Pine Bluff’s potential roles tie in with numerous possibilities for aspiring entrepreneurs and for the city’s downtown development. Friday evening’s roll out of a 14-point plan for Pine Bluff will shed light on the opportunities to be developed. The Delta Rhythm ‘n’ Bayous Alliance can be contacted through their Facebook page: https://www.facebook.com/deltarhythmnbayousalliance/ . 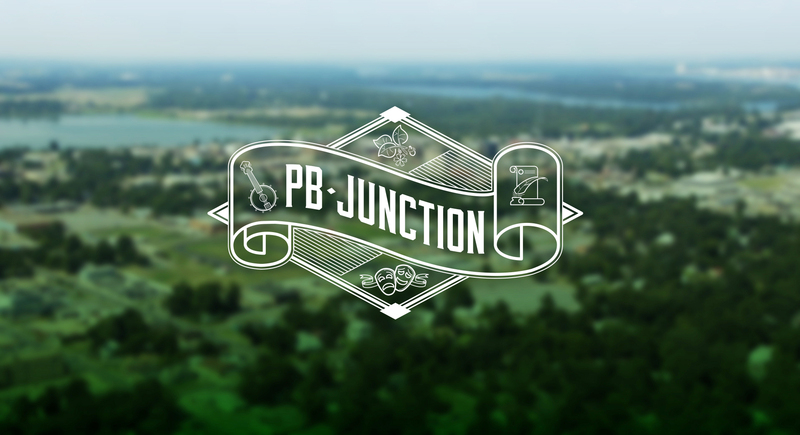 Also, PB Junction has additional information on the Alliance’s vision and foundation, partnerships with other cities and organizations, and Act 451 (Delta Rhythm & Bayous Highway designation).